We operate weekly services in both directions. Interstate removalists you can rely on. Noosa Van Lines has been taking care of removals from Sydney to Brisbane (and vice versa, including locations in between) since 1981. …. operating weekly services in both directions. We understand it’s the total experience that is important…from start to finish. Our aim is to give you peace of mind from the outset. Giving you confidence that your interstate furniture removal will be in good hands and that your experience in moving interstate with us will be easy and stress-free. We have built an outstanding reputation for doing exactly that. But don’t just take our word for it. 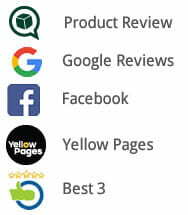 Why not read some of the hundreds of customer reviews left by people, similar to yourself, that have put their interstate relocations into our hands and been glad they did. A common theme being the level of care, professionalism and reliability they have encountered when dealing with our team. Whether your Sydney to Brisbane move includes a whole houseful of furniture or just a single item, we can take care of it for you. We can also provide you with preferred contacts for motor vehicles and pet transport. This is by no means an exhaustive list, so if your location is not listed here or if you would like to discuss how we might be able to help you with your move, please give us a call. OR if you wish to discuss your move with us by phone dial 1800 810 073. By being thorough and obtaining and confirming everything in writing (via email) we plan to eliminate any omissions and/or misunderstandings, making sure your move goes smoothly for everyone involved…from start to finish. That our team will work hard to make your move as easy and stress-free for you, as they can. 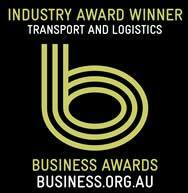 Over the years Noosa Van Lines have been recognised by AFRA with a number of National AFRA awards, including multiple Removalist of the Year awards. AFRA audited us against these standards prior to granting us accreditation. 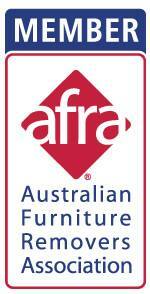 They carry out similar audits every 2 years to ensure our ongoing compliance; as they do with all AFRA members. We know that there are many removalists to choose from on the Sydney/Brisbane route – we invite you to include us in the list you are considering. We look forward to being given an opportunity to provide you with a fixed price proposal…and ultimately being able to handle your removals for you. Great crew! They made my move so easy. Thanks! Simply a great job done from beginning to end. Thanks everyone. From first phone call to delivery my move from Melbourne to Sunny Coast was less stressful due to the care and efficiency from the team. Patrick was reassuring on the phone that all will be well and no request was a nuisance. Adam ensured pick up was stress free and the delivery into my new house was efficient and humorous thanks to Scott, Brendan and Nick! Compared to other companies who quoted a 3 week transit, I will recommend NVL to anyone. Thank you to all the team! I am disabled and the boys went out of their way for me to facilitate a smooth move, Thanks. Overall we were happy with the service provided by Noosa Van Lines. Geoff, the driver, was very obliging and careful with the packing during the uplift. Our only disappointment was that despite requesting that the fridge doors be left ajar when offloaded at the storage facility in Noosa, we found the door of one fridge closed. As the second fridge is at the back of the storage unit we can't get to it and if the door is closed that fridge will be ruined in a year's time when we move the furniture to the new house. You guys were absolutely awesome. From Pat over the phone to the lads that picked up and then the guys that dropped off. Everyone was so friendly and just great to deal with. You guys made what is usually quite a stressful time easy and effortless on our side. Thank you Noosa Van Lines. You guys are awesome. Noosa Van Lines employees were friendly, responsive and clear in their communication. My items were carefully moved interstate, with no damage. I would not hesitate in recommending Noosa Van Lines to friends. We chose Noosa Van Lines to move from Peregian Springs to Sydney on the recommendation from a friend. The whole process, from the online quote, to day of uplift, to unload at the other end was so smooth. The communication was always spot on, and the guys in both the office, and on the ground were excellent; so friendly and accommodating! I would have no hesitation recommending Noosa Van Lines for your next move. This is second or third time I have used you and each time excellent friendly service .. Thanks again see you next time.. Thanks to the Noosa Van Lines team our move from Melbourne to the Sunshine Coast was hassle free. Definitely recommend these guys. Thanks again! I Have used Noosa Van Lines ,for many years . Every time I have moved. Great service, would use them again. On time, friendly, respectful. Hayden and his offsider were gentlemen and nothing was a problem for them. Would definitely recommend them and would use them again. Noosa van lines were amazing to deal with - prompt and efficient. My move was a last minute move and Noosa van lines were able to accommodate me. 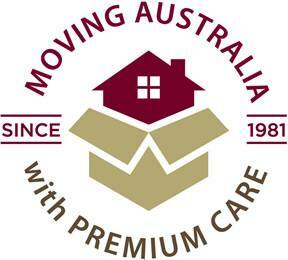 The moving team were also highly skilled, efficient and very very accommodating. I am female and on my own and the moving team were very kind and helpful to me. 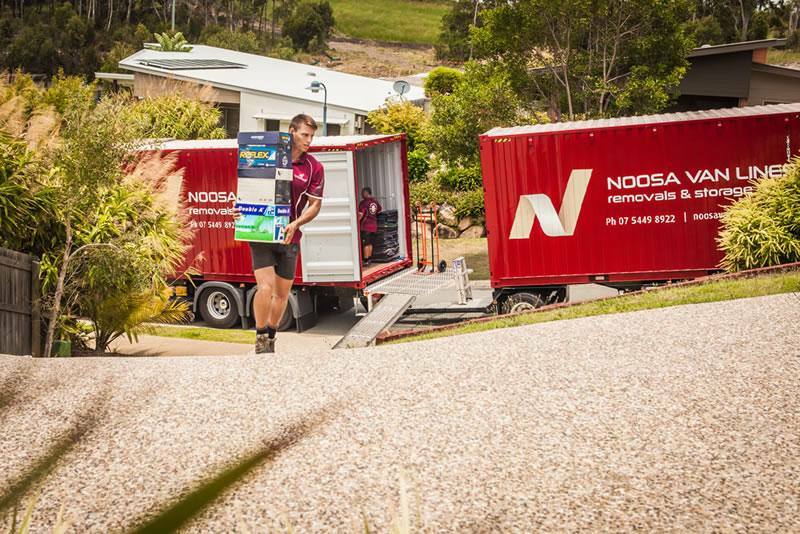 It was a stressful time for me and Noosa van lines certainly reduced my moving stress. Thank you so much. Service was impressive indeed. Professional and friendly. These guys know what they are doing, and have been very careful with our belongings each time we've used them. Would highly recommend this company for a stress free moving service and in fact have already suggested some friends use their service. First class in every way and nothing was too much trouble on moving day. I have used Noosa Van Lines multiple times & they have been efficient, friendly & affordable! Would recommend to anyone! Your team did a marvellous job and took a load of stress off us. All furniture, etc, arrived in perfect condition. Would thoroughly recommend NVL to anyone. Fantastic, clear communication. I would use them again.